Belvedere Designs: Give your Office a Little Pick-Me-Up! Give your Office a Little Pick-Me-Up! 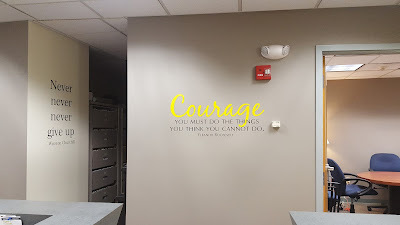 Wall Quotes™ Decals are a great way to bring some inspiration to the office, whether it is one of our many inspirational or office decals, or a custom quote that is popular around the office. Karen worked with our Design Team to create some custom decals around the office and they turned out amazing! We just had to share. 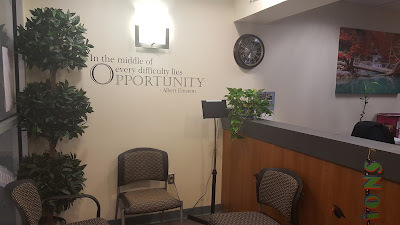 This is a quote that is often used around the office and we worked with Karen to get it just right for the lobby. To the left, you can see a custom Churchill quote and in front one of our popular quotes: Do What You Cannot Wall Quotes™ Decal. This one is in Lemon and Black and is 14 inches by 32 inches. Act as though it is impossible to fail is perfect above these office doors. I think you will see this quote in our store soon! 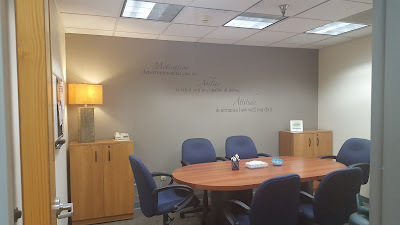 This is another of our most popular quotes, but we switched out the font and the arrangement for Karen to better fit the large wall she has in this conference room. 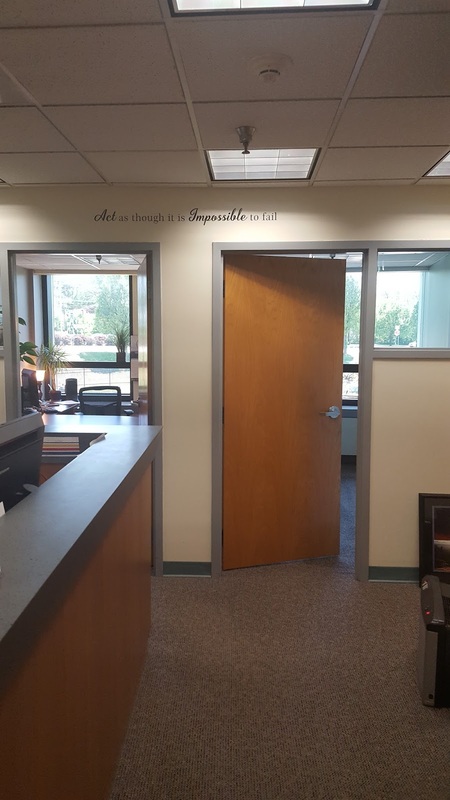 What quotes do you have around your office? We would love to see them!